Found 4 file extension associations related to Company of Heroes and 2 file formats developed specifically for use with Company of Heroes. 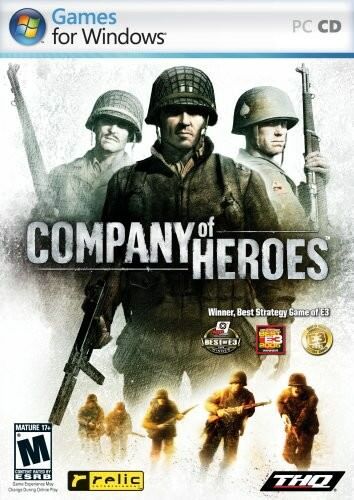 The highest rated RTS game of all time, Company of Heroes brings to life the journey of the brave men of Able Company as they fight in the greatest war mankind has ever known. From the opening shots of the D-Day invasion of Normandy, players lead squads of Allied troops into battle against the German war machine through some of the most pivotal battles of WWII. Through a rich single player campaign, players will experience the intensity, courage, and bravery of the heroes that defined a generation, set against the backdrop of the most dynamic battlefield ever seen in a game. If you need more information please contact the developers of Company of Heroes (Relic Entertainment Inc.), or check out their product website.